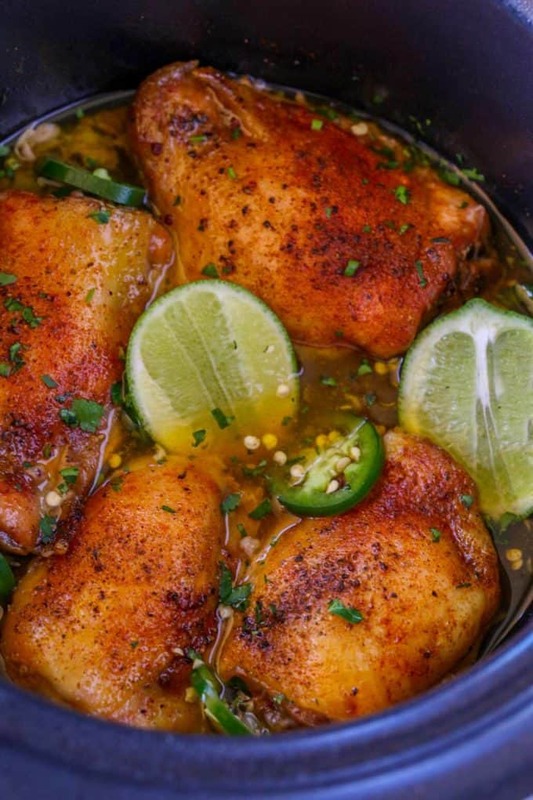 Slow Cooker Spicy Honey Lime Chicken made with just five ingredients with just a couple of minutes of effort. Perfect for shredding as chicken carnitas in all your favorite Mexican recipes. 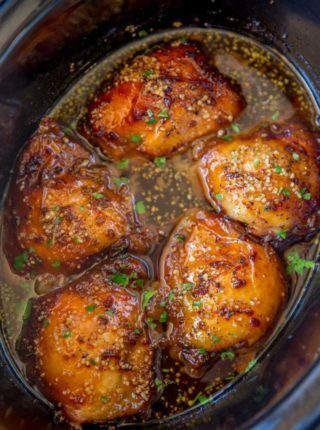 We love slow cooker chicken recipes including the most popular recipe on the site, Slow Cooker Brown Sugar Garlic Chicken and Slow Cooker Thai Peanut Chicken. We love cooking with our slow cooker all year because in the fall and winter we’re busy with school and in the summers we don’t want to heat up the kitchen. This recipe is actually one of our favorite for the summer. 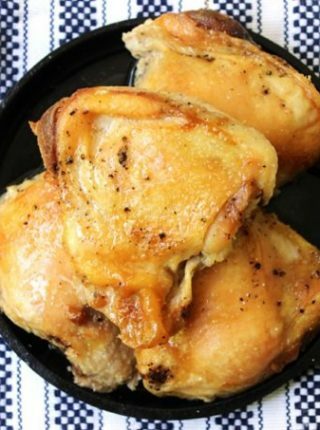 Another positive about this recipe, it’s just five ingredients, making it one of the my favorite easy chicken recipes. 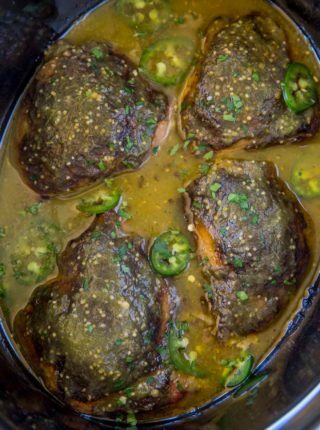 The flavors are perfectly balanced with honey, chili powder, lime and jalapenos. Plus the cost of the recipe is super low. I made a trip to the grocery store for carnitas tacos and bought all the ingredients including the corn tortillas, the recipe ingredients cost under 5 dollars. 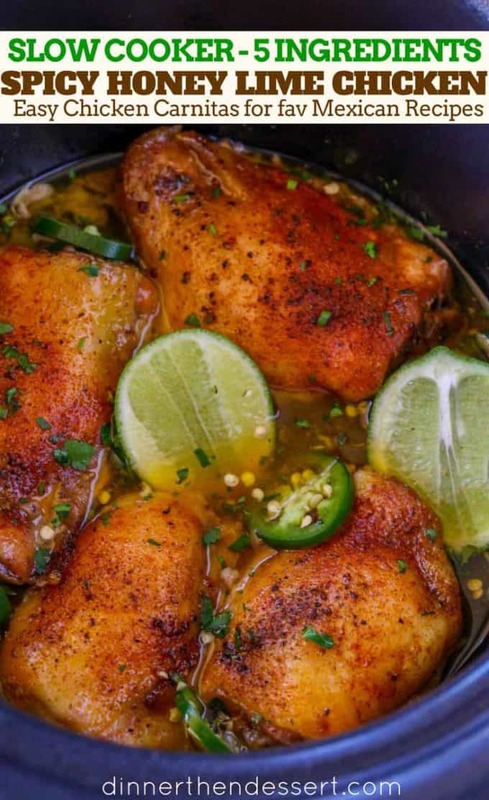 Slow Cooker season may be waning but we are LOVING this slow cooker chicken carnitas recipe this summer. We add the ingredients to the slow cooker and let it cook low and slow. Once cooked I shred the chicken and put it under the broiler or in a skillet to crisp it up. Serve this chicken carnitas with some cilantro and diced onions in a tortilla. I promise you, you’ll eat these cheater carnitas all summer long. Want to make something similar in the oven, I’ve got you covered! 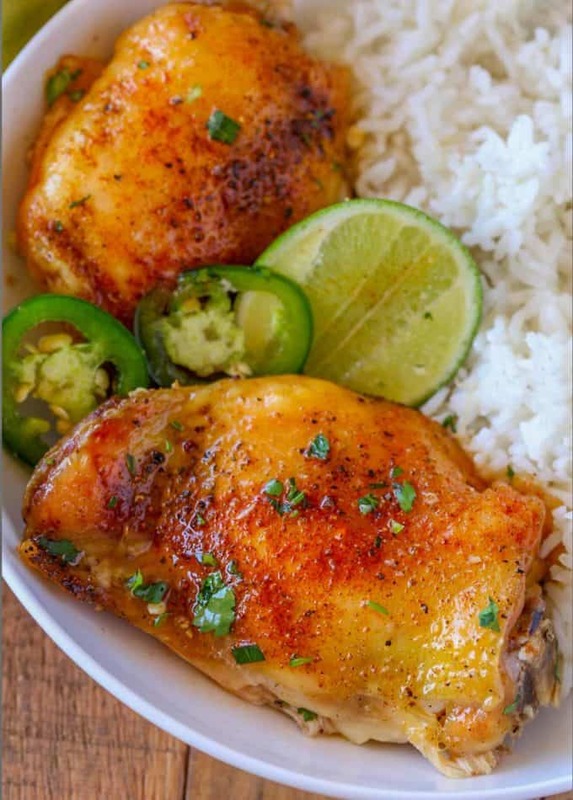 Head on over to Baked Honey Lime Chicken and just add in some chili powder and sliced jalapenos. 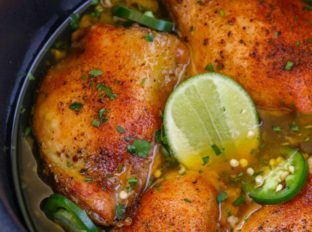 What to serve with Slow Cooker Chicken Recipes? We love serving this dish over steamed rice or roasted potatoes. Additionally the chicken can be shredded and added to other recipes like tacos, burritos and salads. 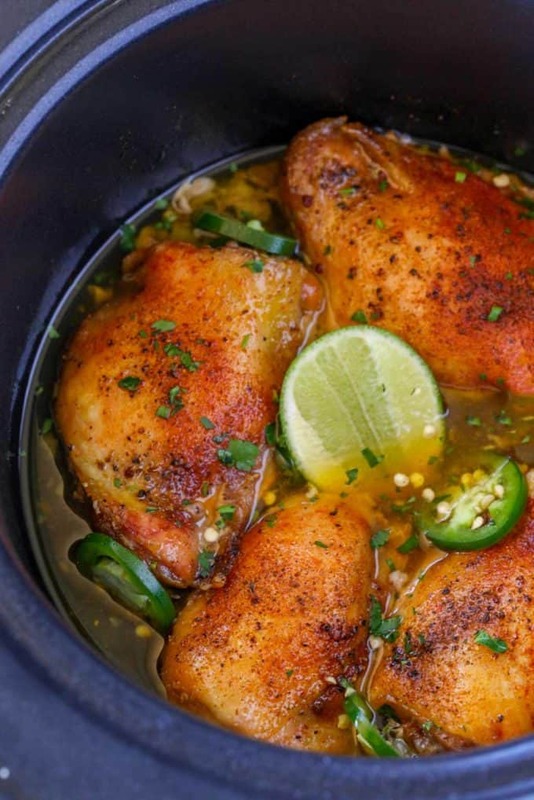 It may sound impossible to some to make crispy slow cooker chicken. It actually is one of my favorite things about cooking in the slow cooker and quite easy! Do NOT add additional liquids. Brown the chicken before putting it into the slow cooker. Make sure the chicken is not crowded in the slow cooker (look above the liquids do not come up to the level of the skin on the chicken). Turn on the broiler in your oven and simply broil the chicken for 2-3 minutes before serving for extra crispy skin. I LOVE crispy skinned slow cooker recipes including my two favorites Crisp & Juicy Slow Cooker Chicken and Crispy Cracklin’ Pork Shoulder, the latter of which includes just a few minutes in the oven but results in a ridiculously crispy and delicious topping. PS that recipe makes the best pork carnitas ever. Aluminum Slow Cooker: This slow cooker is a workhorse and a perfect size for smaller recipes. Add all the ingredients (except the chicken) together in small bowl and whisk. 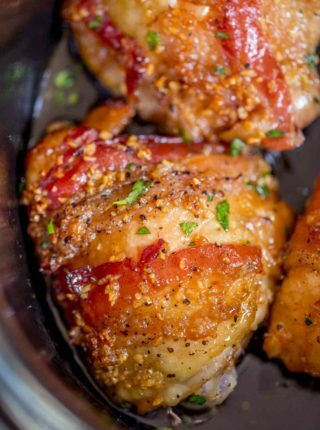 Add the chicken to the slow cooker skin side up. Pour over the mixture and cook on low heat for 7-8 hours or high heat for 3-4 hours. If you want the chicken to be even crispier put it 8 inches below the broiler in the oven on high heat for 2-3 minutes. Do you add a small amount of water to the mixture or is it only thoes ingredients? Im asking because in the pic it looks like a nice amount of liquids. The chicken will release liquid as it’s cooked so that’s what you’re seeing. I only included the ingredients in the recipe card into the slow cooker. I hope you enjoy it! Made this twice! The flavor is so light and delicious. Second time I made it, I added a corn starch slurry to thicken up the pan liquids and it made a HUGE difference to the texture and boldness of the flavor / how coated the chicken stays. What does that mean a lime zested and juiced? Does that mean lime juice? Sorry not much of a cook. You’ll want to remove the thin layer of the rind of the lime by using a microplane grater for the zest portion. Then squeeze the juice out of the lime. Hope this helps clear up any confusion. 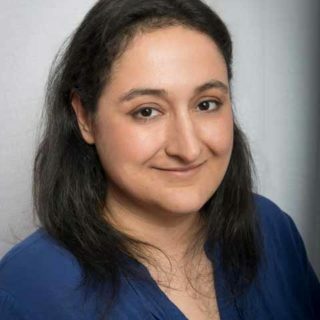 I usually don’t recommend breasts in a slow cooker because they tend to dry out but I have seen comments on some of my other slow cooker recipes stating they have used breasts with no issue. If you decide to try, I’d love to know how it turned out. Utterly delicious, My type of recipe for sure. My family would devour it. We love spicy chicken in our house! This will be perfect for you guys then! These flavors are just phenomenal! Can’t wait to give this recipe a go! Such a great slow cooker recipe! Can’t wait to try this! It’s no secret how much I love my slow cookers!! When do u broil the chicken.? Yes, if you want them crispier, follow step 4 using the broiler.